Massages are both enjoyable and necessary. Everyone now a day lives under so much stress. Knotted muscles from the stress trap harmful toxins. Massaging is not only to feel good at the moment but also they are needed to loosen the muscles and release the toxins. But what do you do when you don’t have anyone to give you a Valentine Day massage, your spouse has physical ailments that keep them from being able to give you a much-needed massage, or you simply don’t like others to touch you? Naipo Massage Products is a My Four and More gift idea! I am sure that most of you have heard of the five love languages that adults and children alike have. Getting to know your child’s love language is a big step in building a loving, strong relationship between you and them! This Valentine’s Day, think a little outside the box. Figure out your child’s love language and truly show them your love for them in a way they can feel! 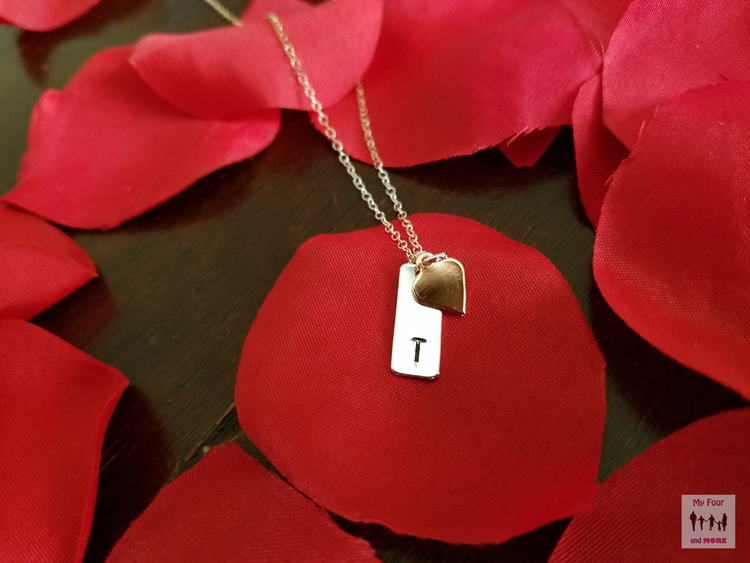 Are you looking for a perfect meaningful piece of jewelry for that special someone in your life? Valentine’s Day is quickly approaching!! Check out this beautiful necklace from HLcollection.